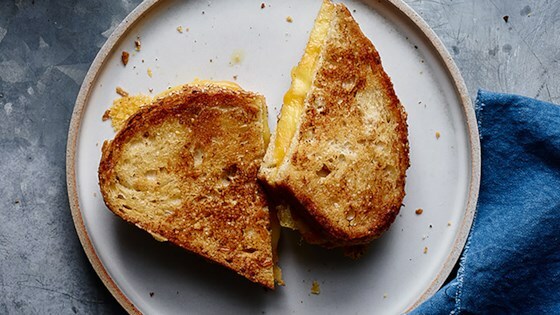 "For a super crisp and delicious grilled cheese sandwich every time, simply brush the outside of bread with Hellmann’s Mayonnaise and grill!" SPREAD one slice of bread with Hellmann's® or Best Foods® Real Mayonnaise. Place bread Mayonnaise-side-down into hot skillet; add cheese. SPREAD other slice of bread with Mayonnaise and place Mayonnaise-side-up on top of cheese. COOK until lightly browned on one side. Flip over and cook until cheese is melted. Tip: Try adding sliced ham to this recipe for a delicious twist!